The TMT-HA200 hot air tool can be used for surface mount component removal and reflow on components such as SOIC, CHIP, QFP, PLCC and others. 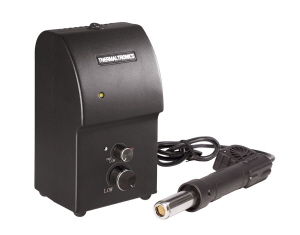 Auto sleep activated when hot air tool is placed in the holder. Lightweight and compact, takes up minimal table space. Large selection of high quality nozzles. Adjustable, easy to use temperature and air control knobs. 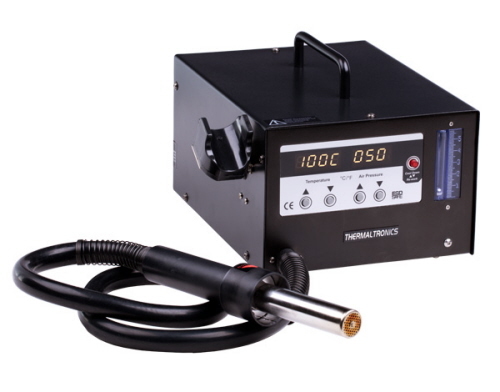 The TMT-HA600 hot air tool uses a large diaphragm pump and a high power 1300W heater, designed to work on more difficult applications, in the removal and reflow of surface mount components.